If moving away at 18 to start college didn’t come with enough anxiety, I found myself registering for Florida State’s fall recruitment. My mom joined Sigma Kappa back in the 70s, and assured me her experience with Greek life were her golden days. As a varsity high school cheerleader, I deemed myself a socialite. Recruitment seemed like a great next step. 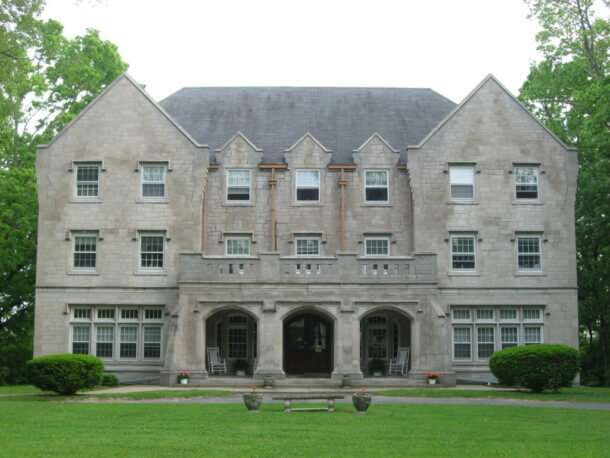 Suddenly, I found myself walking to Kappa Alpha Theta, my first house of the week. The sweltering Tallahassee summer made me sweat bullets, and my nerves threatened to get the best of me. But by the end of the week, receiving my bid from Kappa Delta—my forever home—I finally realized my purpose for coming here. The experience can definitely feel overwhelming, so no need to rush through the process. While sorority recruitment varies from campus to campus, the overall process remains similar. The beginning of recruitment will always be the most casual. No, not yoga pants and a tee casual (I wish). Although I long deemed myself a social butterfly, even the simplest of conversations that ensue during the first round of recruitment made me feel leery. Were they expecting me to say I’m a business major? Was I supposed to have embarked on a wild vacation over the summer? Answer: no. Think of the first round of recruitment as an icebreaker, both the chapter members and PNMs (potential new members) break the ice with a 15-minute conversation. In other words, relax. Answer honestly, and take the time to embrace each and every convo. Amidst the light banter, a spark will light within you after leaving Michelle at the Kappa house. By the middle of the week, you’ll realize you’re slowly developing crushes on specific houses. Conversations get deeper, giving you a feel for each sorority. By this round, they’ll begin to ask you about your leadership experiences, life values and interest in community service. Again, answer with honesty. The sisters take this round seriously as they search for women who hold themselves to a higher standard. Aside from the inevitable social aspect of sororities, each sisterhood strives to add philanthropic, driven women to their chapter. Taking a break from the chatter, chapters usually offer a presentation in order to showcase their philanthropy. From Prevent Child Abuse America to St. Jude’s Research Hospital, this round lets you witness first-hand the impact made by each and every sorority on campus. Preference-Day (pref for short) rounds up the end of recruitment. If you waited all week to break out your best dress and killer heels, now’s your chance. By the time Pref Day rolls around, you’ve narrowed down your choices to a select few. While I can’t reveal the details of each sorority’s Preference ceremonies, I can admit that they’re extremely special and intimate. This day differs from the rest of recruitment because the sisters can finally express how great of an asset you’d be to their sisterhood. And guess what? You can reciprocate the feeling. Let your hair down, girl, and show them you’re ready. This day relieves the sisters of holding back their immense interest in you and can finally open up. Embrace this part of recruitment because each sisterhood made it special just for you. OMG. Bid day looks like a birthday party on steroids—not kidding. You barely sleep the night before because you feel too excited to get your bid. The morning finally arrives and your Rho-Gamma excitedly hands you the envelope. With haste, you rip open the paper and see the Greek letters you vied for all week. Now what? More often than not, you’re given a t-shirt to match the sorority’s Bid Day theme. Regardless of your outfit, you throw the shirt on and sprint home. An overly excited sister waits patiently for you to come running into her arms. An honestly awkward experience, just embrace it. Sure you’ve only known a select few of these women for a few days, but you just ran home to lifelong sisterhood, and that’s something to scream and cry about…until picture time arrives. A Recruitment Counselor (or sometimes referred to as a Rho-Gamma) stands in for your mom, essentially. Recruitment can be a scary, intimidating event. You willingly walk into house after house to speak with women who you hope will like your calm personality and witty way with words. Your RC offers advice and support throughout the process, while giving you helpful tips and hints. She’ll remind you not to talk about the epic party you threw at your house last summer, and to always drink the water in order to stay hydrated during the hot, summer days. RC’s often go through intense training in order to offer you the best insight possible as you make your way through recruitment. Feel free to ask her any and all questions—that’s what she’s there to do. Side note: Recruitment Counselors aren’t random women, they’re from sororities too. They temporarily cross-affiliate from their chapter in order to help young women going through the recruitment process. Ah, the infamous question. Generally, the attire gets dressier as the week progresses. Most universities provide potential new members with a Panhellenic t-shirt to wear the first few days. Following the comfort of a cotton tee, take this opportunity to show off the cute outfits you couldn’t wear in high school. Pull out the floral romper and tan wedges for the middle of the week. By Preference Day, you’ll want to dust off your best dress and heels. In regards to makeup, put on your best face (while still feeling comfortable). If you’ve never worn lip liner before, don’t feel the need to try it now. Pro tip: Bring a pair of sandals to change into for long walks to each house. You can thank me later. The recruitment process presents itself as a way for you and the different sisterhoods to determine where you best fit. However, the flaw in the process lies within the instances where potential new members don’t find a match. So, no—not everyone receives a bid at the end of the week. Maybe you spoke with women you didn’t click with, or your shy nature got the best of you and you struggled to open up during the process. Recruitment isn’t for everyone, and that’s okay. I’m sure someone said to you, “You’re paying for friends in a sorority.” Well, technically, yes. You pay a certain amount of money and you happen to gain 200 friends in the meantime. Like any club or organization, a certain amount of dues must be paid. The costs vary from each campus depending on size, housing, etc. The amount of money due can range from the hundreds to the thousands. Why should you pay? The paid dues go towards social events, operations within the house and so on. But most of all, you can’t put a price on a once in a lifetime experience. However, if you’re hesitant about the investment, have no fear. Each new member can apply for sorority scholarships. Don’t let financial worries keep you from experiencing Greek life on your college journey. Oh, and make sure you save up for the t-shirts. WHAT’S THE NEW MEMBER PROCESS LIKE? Sorority life doesn’t only involve social events and philanthropies, you must learn the sisterhood’s history, values and morals. Although you’re busy studying for your bio exam, make sure you fit in time for the new member process. Standing in a room with 20, 40, 70, new sisters can (and will) feel intimidating, but the new member process offers the new pledge class chances to get comfortable around each other. You’ll undoubtedly become BFFs with your pledge sisters, and the new member process allows you to jumpstart those bonds. Throughout meetings, workshops and classes you’ll begin to find your groove within the sisterhood. 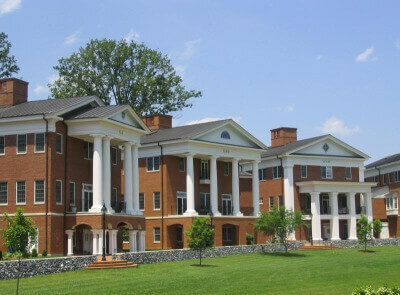 Students at Washington & Lee stand out for not joining Greek life, not the other way around. From the party scene to philanthropy events, Greeks every aspect of campus life. To raise money for their philanthropies, sororities hold flag football games, pageants and concerts to raise money for domestic violence awareness or for charities like Make a Wish. DePauw Greeks find themselves busy saving the world on a daily basis within their sororities’ philanthropies, like Delta Gamma’s Anchor Splash event whose provides benefit Service for Sight. Plus, a majority of the student body is Greek which connects new members to all of a chapter’s alumnae. Networking never seemed so easy. Over half of Transylvania’s student body goes Greek, but you probably know thanks to their viral T-Swift “Shake it Off” video. 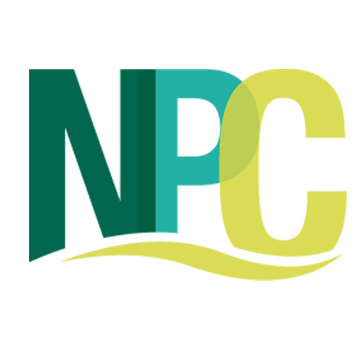 National Panhellenic Conference created this Twitter account as “the voice for sorority advancement.” In order to get an unbiased opinion of Greek life, @NPCWomen share stories and tips for all sororities within the nation. A Twitter account accompanying @NPCWomen, The Sorority Life encourages women to follow their tweets to learn all about sorority life. 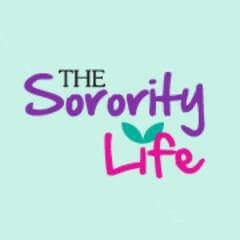 With sorority life comes negative stereotypes and rude remarks. Instead of showcasing sororities ability to party or dress to impress, Actual Sorority Move posts daily tweets about national sororities philanthropic actions. Follow this Twitter account and help fight against the negative stigmas. WANT MORE INFO ABOUT SORORITY RECRUITMENT? Looking for even more? 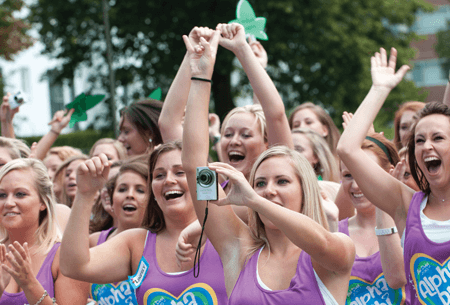 Check out 15 gifs that describe sorority recruitment. You can’t tell if the nerves or the excitement makes you want to pee your carefully chosen pants more. You feel like you’ve just received a compliment on your tea party from the Queen of England. Word vomit happens to the best of us. Sometimes you babble about butter or your pet goldfish for longer than any socially acceptable human should. One of these days you’ll master Greek alphabet soup and distinguish the anchors from the turtles from the crescents, but today you can just smile and nod. Finally I can take off my shoes and stop sucking in my freshman 15 gut. I mean, you knew it would happen but you can’t help screaming from the top of your dorm loft bed anyway. So when is Big/Little week? You can’t decide if this is creepy or your new favorite song, but you’re digging it anyway. Don’t make me pick, please. Now that you know my major and dorm, let’s chat about what I want in a lifelong sisterhood (spoiler alert: 100 girls ready to run to Taco Bell at a moment’s notice always). We’ve all tripped up the stairs in a maxi before, don’t sweat it. It’s like Christmas morning, but way better. You’ll wear these letters proudly whether rocking them with your cutest new denim skirt and Jack Rodgers or sweatpants and a messy bun. Bring on the nervous freshman. I’ve been here and done that. Found your sorority? 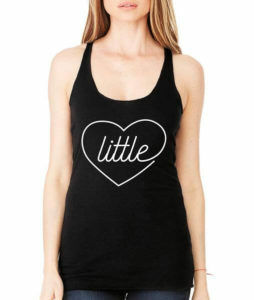 Now it’s time to find the perfect big little gift.